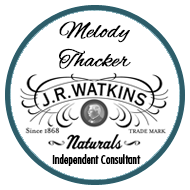 Watkins organic spices and herbs will be available in Canada in July! Isn’t that great news for everyone who wishes to eat organic? We’ve offered organic herbs and spices to our US customers for a while now so I’m very happy to be able to offer these same great seasonings to all my customers. You’ll find an assortment of gourmet, organic herbs and spices packed in beautiful gold heritage tins that not only look great, they’ll keep your spices and herbs fresh too. That’s not all, if you purchase them in July/08 they are also on special so you’ll save money while enjoying premium quality spices!